I have this tendency to get quite obsessed with a particular cookbook (as seen with my 1000 Vegan Recipes cook through). Many moons ago I pre-ordered Appetite For Reduction by Isa Chandra Moskowitz, so by the time it arrived it was just like getting a surprise present from myself. I am very thoughtful. Over the past two weeks, I have been absolutely loving this book and have cooked several delicious recipes from it, with many more planned to come. Here's what I have made so far. 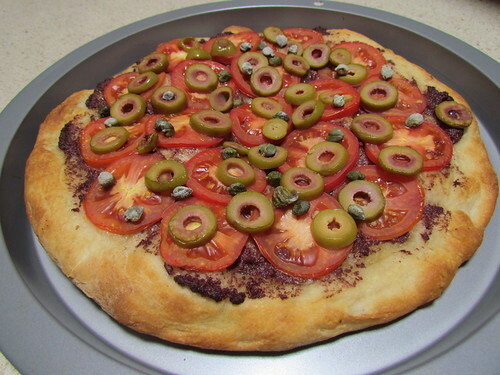 Pizza Hummus is one of the many hummus variations in the book. I made it to take to work as a snack during the day, along with some carrot sticks. I left out the paprika in the recipe and subbed in oregano. I also made some delicious pizza burritos with this - a tortilla spread with pizza hummus, lettuce and a sprinkle of nooch and all wrapped up. Yummy. This was one of the first dinners I made: Miso Udon Stir-Fry with Greens & Beans and Eggplant Dengaku. The noodles were delicious, I really enjoyed using the broccoli stem (which is something I haven't really used before... all those years of wasted broccoli stems!). I used a 270g packed of dried udon (I find the 'fresh' udon too mooshy) and that made enough for five servings total. The eggplant was out of this world delicious. It is one of my mother's favourite dishes, and she gave it thumbs up. I think I forgot to add the water to the sauce when I was making it, but it didn't matter - it was thick and oh-so-delicious. I grilled (broiled) the eggplant for a couple of minutes longer to get it too cook properly as well. Such a good dinner. 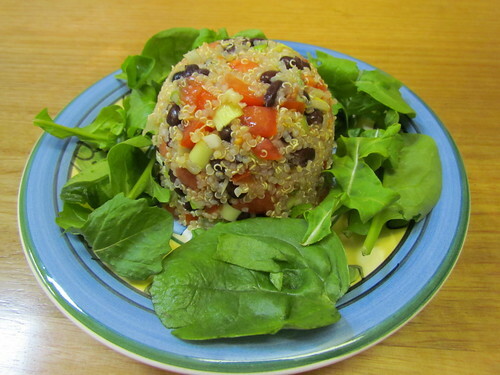 Quinoa Salad with Black Beans & Toasted Cumin Seeds was a good choice of lunch to make to take to work during the week. It required 2 cups of cooked, cooled quinoa. I cooked up one cup of dried quinoa, and I ended up with just under 4 cups cooked, so I split it and froze the rest for another recipe. This photo is using Isa's super cute serving suggestion of unmolding from a tea cup, though when I took it to work I tolled the baby spinach and rocket leaves through it and ate it out of a plastic box. Not as cute, but just as tasty. Another salad, this was actually the first recipe I made from the book. 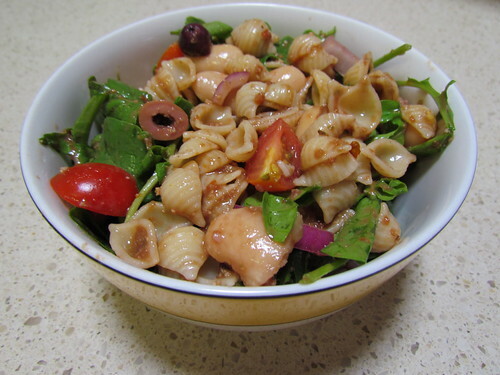 Trattoria Pasta Salad with White Beans is another great option for a make ahead lunch, it keeps and travels very well. The Sun-Dried Tomato-Walnut Dressing is delicious, and includes fennel which gives a very pleasant taste. I couldn't find any brown rice pasta, so just used regular wheat small shell pasta. I used butter beans here, but think in future cannelini beans would be best to keep the size of everything consistent. 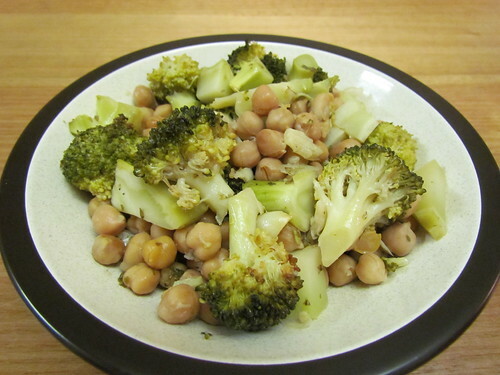 Forty-Clove Chickpeas and Broccoli was always at the top of my list of things to make. It actually only has ten garlic cloves, but that is enough for a garlicky punch. This dish is so quick to assemble, there is very little effort involved, though it does take a little bit of baking time. But it is delicious and just so satisfying. I found that this only served three hungry bellies at our house, served with some brown rice. 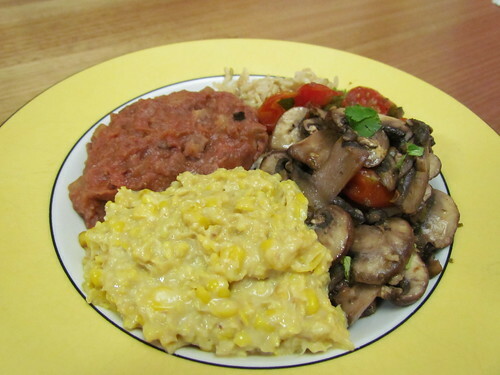 So much deliciousness crammed onto one plate here: Creamed Corn, Coriander Mushrooms with Cherry Tomatoes, Unfried Refried Beans and brown rice. The corn was fantastic - so quick and easy, why would you ever eat creamed corn from a tin again? I enjoyed the leftover corn in two of my favourite trashy ways - on toast with Nuttelex and just straight up with some ketchup mixed in. Kind of wrong, but kind of right. I also found with the corn that I could make it a bit in advance to the point of blending it, then just put it aside until I was ready to quickly do the final heat-through with the cornflour (cornstarch) mixture. The mushrooms were also great, and remainders were enjoyed on toast the following day for breakfast. Finally, the beans. Oh, the smooth and delicious velvety beans. 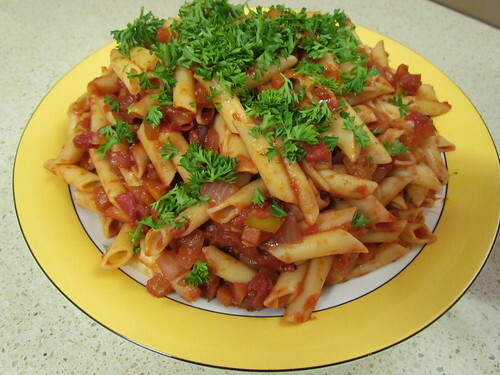 I used two 400g tins of borlotti beans and 250mL passata for the recipe. I have leftovers stored in the freezer for an upcoming taco night! 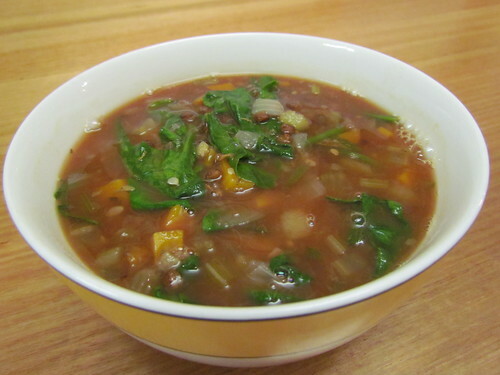 Sometimes, even in the middle of summer, a big bowl of lentil soup is just what you need. Lotsa Veggies Lentil Soup fits the bill. It uses Du Puy lentils, which was great because I had some leftover from something else that were crying out to be used up. Instead of chopped spinach leaves, I just stirred in a 150g bag of baby spinach leaves and cooked until wilted. 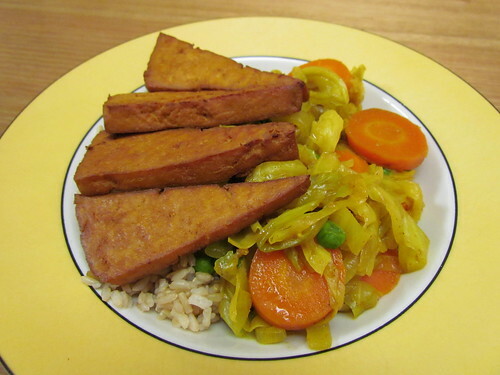 A quick and easy dinner was Masala Baked Tofu with Curried Cabbage & Peas served over brown rice. 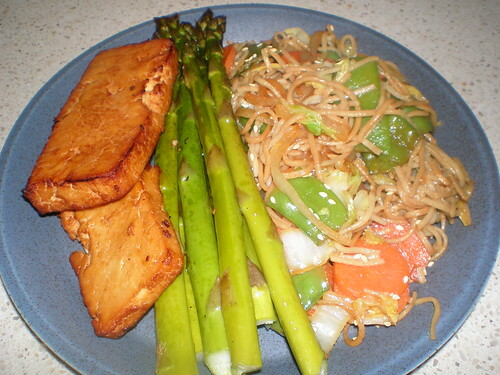 The tofu marinade is great - and oil free! 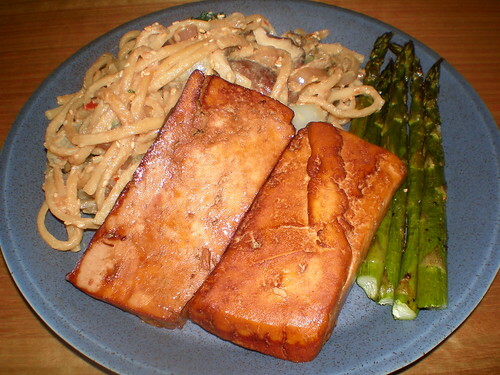 I save my marinades to use again, so I have made another batch of tofu with it and still have enough left over to marinate a few portabello mushrooms for another upcoming dinner. 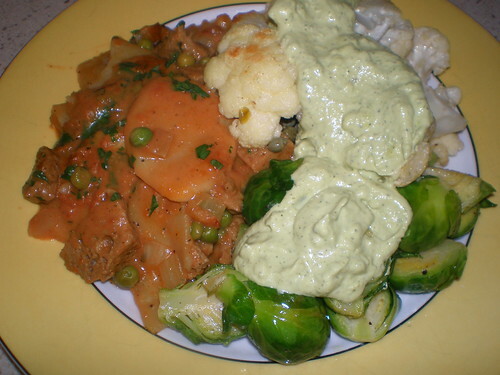 The curried cabbage and peas is also very fast. More salad for lunch! 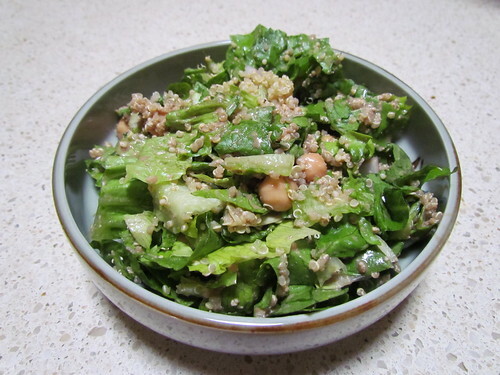 This is the basic version of the Everyday Chickpea-Quinoa Salad with Balsamic Vinaigrette. I used my stored away two cups of quinoa for this, along with lots of fresh, chopped Cos (romaine) and chickpeas. The vinaigrette was really nice, I like using nuts as the base. But even though it only makes 3/4 cup, it was a bit too runny for my just-over-a-cup-capacity mini-food processor and ended up running all down the sides, no matter how hard I pushed the lid down to seal the cracks, so next time I shall make it in my big one. Isa gives lots of options to bulk the salad up, so I look forward to making a fully loaded version! A dinner dedicated to my little fiery-red Abyssinian kitty, some fiery Ethiopian food (Abyssinia is the historical name for Ethiopia, and is thought to be where the original cats from the Abyssinian breed came from, even though the breed was developed in Britain): Ethiopan Millet, Mushroom Tibs and Ye'abesha Gomen (Stewed and Sauteed Collards). There was some heat involved here, especially in the mushrooms - I think next time I might go a bit easier on the curry powder. The millet was also a bit spicy. 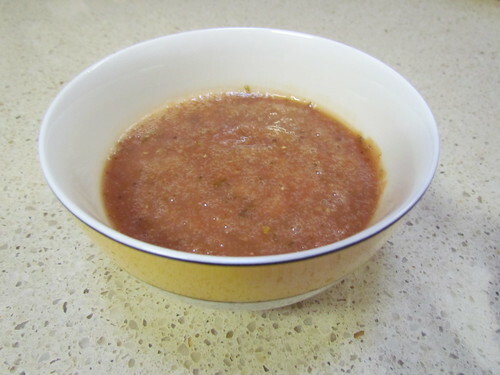 When making the millet, I found I did need to add the extra vegetable stock to stop it from drying out too much. For the greens I used silverbeet (chard) instead of collars. I have never seen collars here, ever. Which makes me a little sad, because I love different greens. 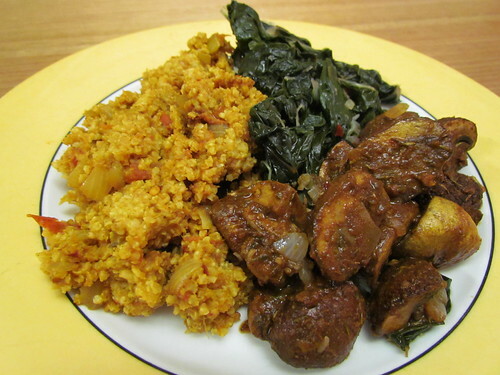 Anyway, I suspect that the collards might be a bit tougher than the silverbeet, so I only stewed the silverbeet for about 15-20 minutes rather than 30 minutes, and they turned out great. A nice counterpoint to the heat in the other two dishes. So that is my first round up from this great book. I already have other photos awaiting transfer from my camera, and many more recipes planned for upcoming dinners. I look forward to sharing more! 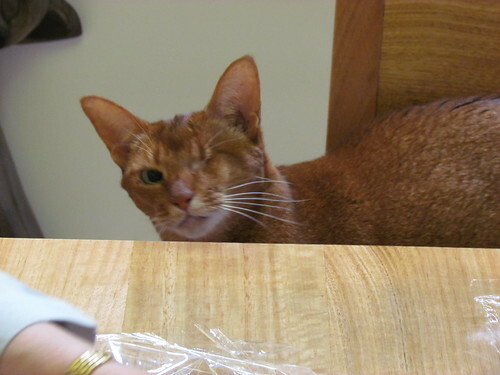 Speaking of spicy Ethiopian, here is the little Ethiopian kitty herself. Sleeping ever so gracefully, with her front arms stretched out and her back legs tucked up. Snoozing kitties are funny sometimes! 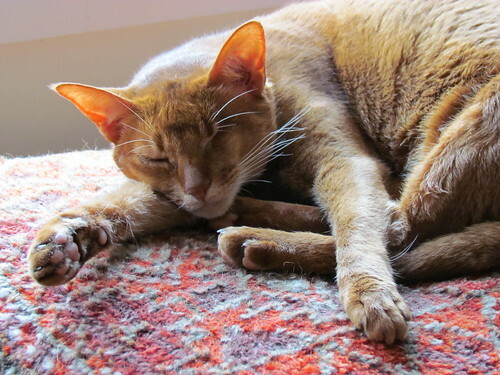 And here is a bonus kitty photo for you of Dim Sim! The reason you get a bonus photo of Dim Sim is because we are both very happy today. 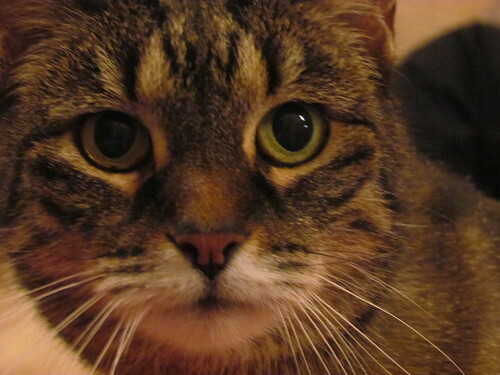 Five weeks ago I had her senior bloods checked, and her thyroid level came up a little bit high. 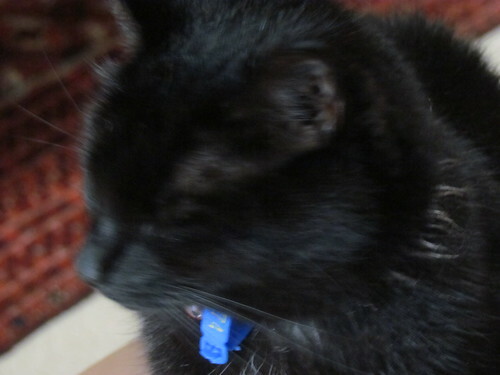 To treat her hyperthyroidism, she would have had radioiodine therapy and I would have had to leave her at work for three whole weeks, the first week I could not even visit her! But last week I rechecked the T4 level and it was well back into the normal range again. Curious. I am rechecking it again in three months time, but for the moment no I131. And today was the day she was booked to go in, so I am very happy to still have her home with me! And an extra bonus photo of Gizmo. I can't very well give you a picture of the other two and leave out Miss Giz can I? Absolutely not! By the way, all photos in today's post come from my awesome new camera. I heart it muchly. Last year my little brother moved to London. He came back for Christmas and stayed for several weeks. I have already posted about Christmas, but there were several other fun times to be shared. Greg's best friend Tnee and his wife, Melissa, came over for dinner with their little bub Ella. Greg put the menu together, and I helped out as well. The main part of dinner was Pasta Norma, which was a naturally vegan recipe from an omni Italian cookbook Greg brought home from London, which was a big plate of penne pasta with tomatoes and eggplant. Very yummy! 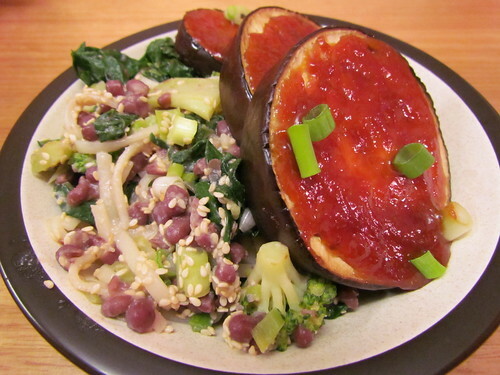 The eggplant, instead of being cooked in the sauce, was sauteed separately and mixed in at the last minute, and retained a great texture and taste. Greg chose to serve Cos lettuce leaves as well and we made the Basic Balsamic Vinaigrette from 1000 Vegan Recipes. Also on the plate, from the same trusty tome, are some Mushrooms Stuffed with Spinach and Walnuts, which were lovely. However the stuffing seemed to make two to three times more than would fit in the mushrooms! 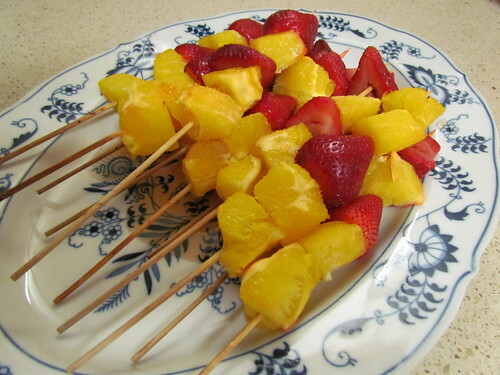 Dessert was Grilled Orange and Strawberry Skewers from 1000 Vegan Recipes. I wasn't able to grill in the American sense, so I grilled in the Australian sense, which is broiling in the American sense. Delicious fruit marinated in Grand Marnier and then cooked, which I served with ice cream. 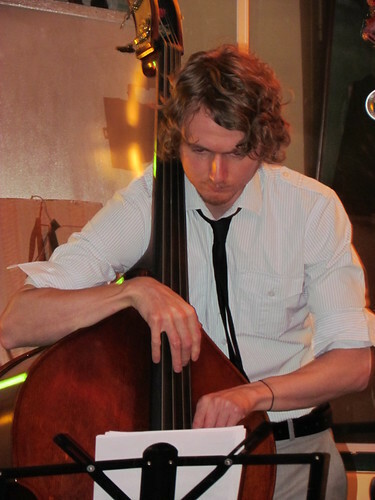 My brother is an awesome jazz musician, and he is considered a 'son' of the Brisbane Jazz Club. He had one gig when he was back in the country, and this was it. The BJC itself is situated on the bank of the Brisbane river, and was swamped in the floods, so the event was held at a venue in the Valley. Hopefully lots of money was raised during the night to help them with rebuilding. Before the gig, my parents and I went to Loving Hut for some vegan pre-show noms. 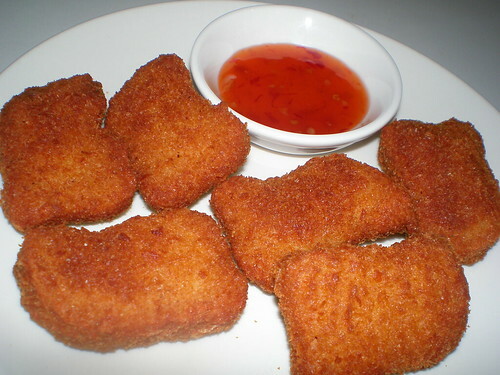 We started with a plate of Hearty Nuggets, which are just crispy tasty little morsels of vegan protein. 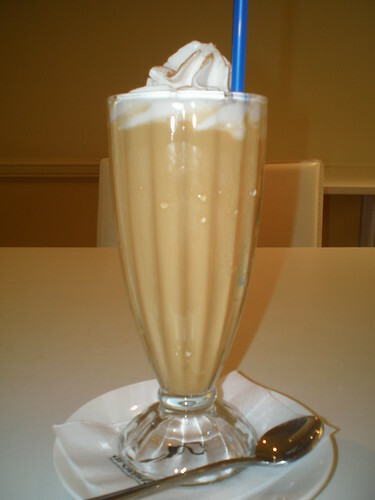 I also enjoyed my favourite Loving Hut drink, the Iced Chai. Delicious! My mum had the Seven Seas Delight, which is one of my favourites. Vegan protein wrapped in seaweed and smothered in a lively sweet/salty sauce. Served with rice, chilled broccoli and pickled vegetables. 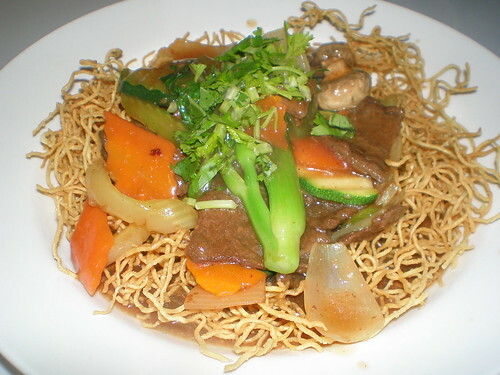 Dad had Crispy Chow Mein, beefy-style protein and vegetables in sauce serve over crispy noodles. Yummy. 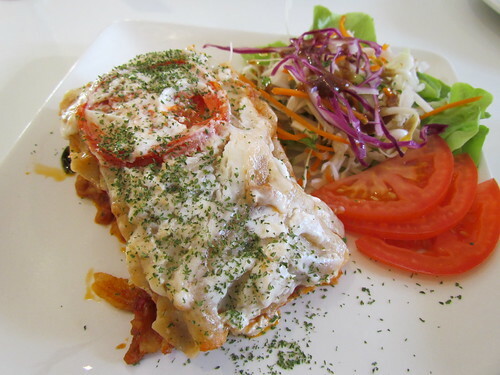 I tried something new on the menu - lasagne! And it was goooooood. The creamy sauce was so tasty. I love a vegan lasagne! Not pictured here is my dessert, which was a passionfruit cheesecake. My favourite of their flavours. Then we headed off the to the gig, which was awesome. It is very special seeing your brother playing so well in front of a packed out venue. Oh, and remember how I said we had his friends Tnee and Melissa over? They happen to also be amazing jazz musicians - Tnee on instrumentals and Melissa with her amazing voice! Check out Melissa's website to find out more! Here he is, playing on his bass. Super cool. I made Greg a farewell dinner for his last night. Given his love of Italian food, I chose the Italian Menu from 1000 Vegan Recipes. First up was Classic Crostini with Black and Green Olive Tapenade. I added some chopped tomato to some of them for a bit of a change. The crostini is essentially baked (toasted) baguette slices. 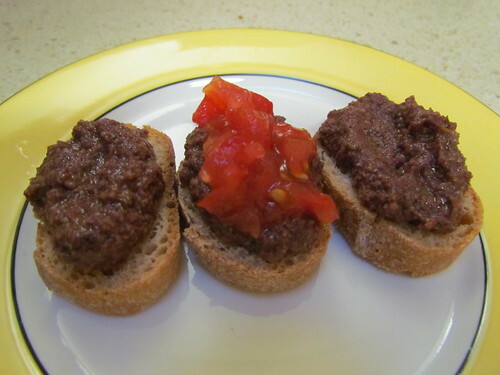 The tapenade is very easy to make (according to my mother who made it, I had to duck into the clinic for a cat emergency). I couldn't make the salad required by the menu, because I could not find any radicchio. Woe. So instead I made a salad of baby greens and cherry tomatoes and served it with this Italian Dressing from Vegan Vittles, which was light and tangy and a little sweet. Good stuff. The main was Ziti with Abruzzese Vegetable Ragu, which was loads of penne (I made the whole pound because there were five eating, with lots left over, normally I would use 250g pasta and just have it extra saucy) served with a red wine and tomato sauce with onions, carrots and yellow capsicum - yes, capsicum! Chopped small and stewed the yellow kind is not too bad and didn't hurt my tummy. 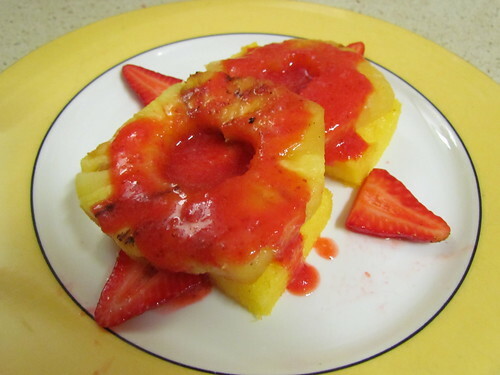 Dessert was Sweet Polenta with Grilled Pineapple and Strawberry Sauce, which was very handy to make ahead. The sweet polenta is cooked then chilled in a pan for several hours. I actually grilled the pineapple early in the day on the George Foreman grill and then reheated it in the oven with the polenta. The polenta did not go golden brown, even with a slight increase in temperature. Also, the strawberry sauce takes about three seconds to make. And then he was gone. *sniff* Here he is heading off at the airport to his flight. The upshot of this is that I was up at 4am today to get him to this flight. I am looking forward to a good sleep tonight! To console myself, I made this Tapenade and Tomato Pizza from 1000 Vegan Recipes for lunch. It used some left over tapenade and is on one of the yummy fresh vegan pizza bases I get from the local deli. It was nom. So there he goes, off for another year. Right now he should be approaching his stop over in Korea. 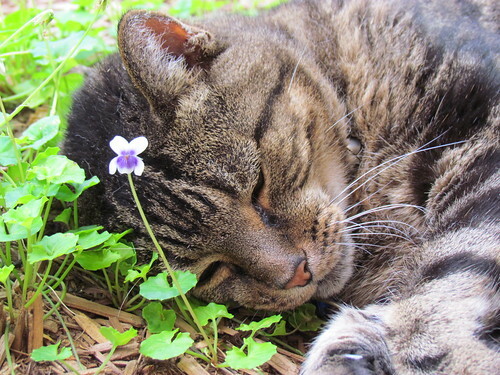 Our sweet old boy Possum, stopping to smooch some violets in the front yard. Too beautiful. Information on QLD Flood Relief. On Saturday I spent a morning helping clean out flood damaged homes in the Brisbane suburb of Fig Tree Pocket. It was a sobering experience, and also very hard physical work. I'm afraid to say that my apparently weak little body took several days to recover. But there are many ways to help out with the flood relief efforts if you are not able to provide physical strength. Baked Relief is an incredible phenomenon that started with one woman baking to send out to feed volunteers, and with the simple #bakedrelief hashtag on Twitter, it has snowballed into a massive organised front of people across the area baking and providing food that is then sent out to feed the volunteers out on the ground. Baking is definitely something I am well suited to, and I had a day off to spend baking. But I was working the next day, so would not be able to get the food out there. A tweet for help later and I was in contact with someone who lives close to me who was able to pick up the food the following morning. And then I was off baking some vegan love. First up was Cowboy Cookies from Vegan Cookies Invade Your Cookie Jar. 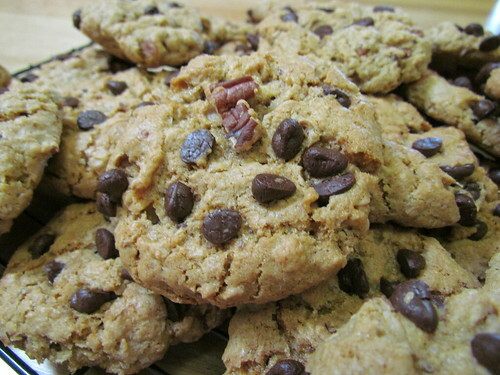 These cookies are serious stuff - pecans, coconut and chocolate chips. I guess cowboys like that sort of thing? I only had half the amount of pecans required, but it was still lots. Also, I used the whole cup of chocolate chip cookies the recipe called for, but it seemed a bit too much because there were about 1/4 cup of chocolate chips left at the bottom of the bowl. I found I got two and a half dozen cookies instead of two dozen, I must think golf balls are smaller than they are! 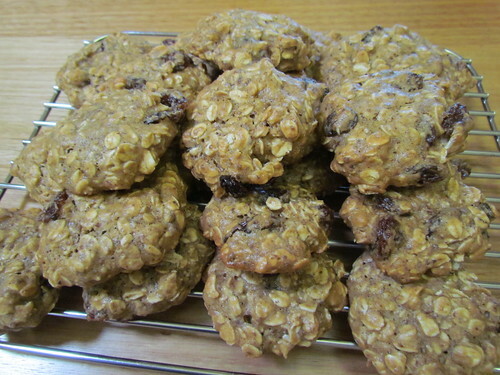 Oatmeal Raisin Cookies, also from Vegan Cookies Invade Your Cookie Jar are a classic cookie and so easy to make, there isn't really any excuse not to! The recipe was meant to make two dozen, but I found it made a bit under that. I must think tablespoons are bigger than they are! Savoury items were also being requested. I guess people cannot live on sugar alone! 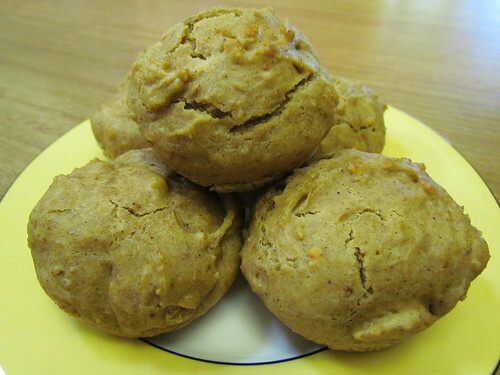 I made these Spicy Chick-Wheat Savoury Muffins from 500 Vegan Recipes. They are a combination of wheat and chickpea flour, and are spiced with garam masala and red chili flakes. I really enjoyed this, plus the chickpea flour added some extra protein and that makes for full bellies. The look a bit small, because for some reason instead of filling out the 20 muffin tins required I filled up 22. Oh well, more to share. I had those left over chocolate chips from the Cowboy Cookies, and they were damp so I couldn't exactly put them back in the bag. So I made Coffee Chip Muffins from Vegan Brunch. 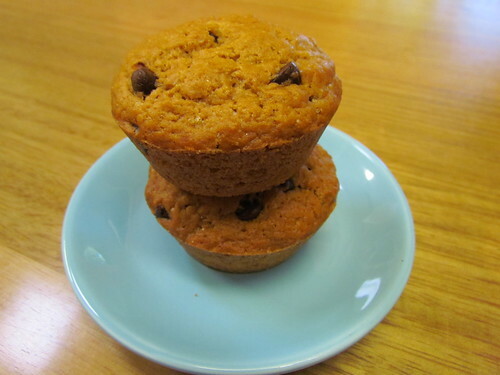 I am disturbed how much I liked my sample muffin (I sampled a small one of all before sending them out). I don't like coffee. It makes me sick. It is gross. This did not. The coffee flavour was just very subtle, and I didn't have any caffeine side effects. I still don't think I'll be drinking coffee any time soon though. 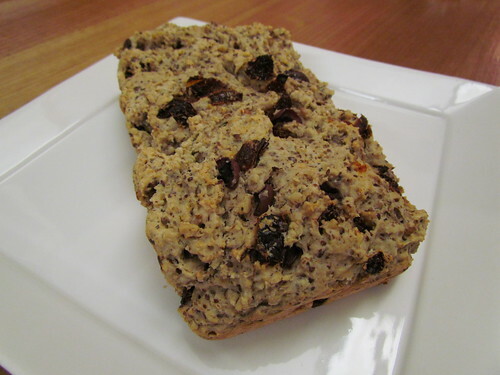 The final thing I made was Mediterranean Olive Bread from The Joy Of Vegan Baking for some more savoury action. As well as olives, it also has sun-dried tomatoes and rosemary (I used some fresh from our garden). It was good, but I couldn't make it go golden on top, which was a bit sad. The picture in the book looks way better! Here it is all packaged and ready to go. I know that it is a lot of plastic wrap, but if you were out covered in mud you would want your food to be wrapped and be able to eat it without actually having to touch it! It was also all labeled as Vegan (no eggs or dairy), so that any vegans or lactose intolerant people out there could be confident in what they were eating. 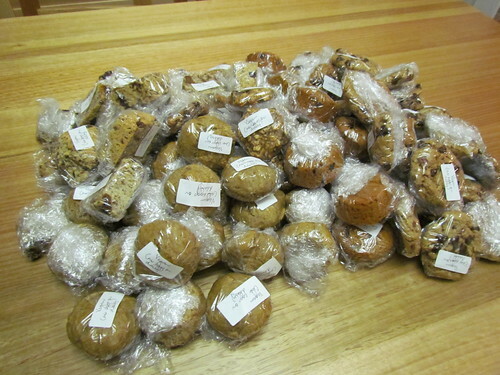 I've been told that these goodies were taken out to Jindalee and Oxley, and I am glad to hear they were enjoyed. As my mum helped wrap up all the goodies, Sahara supervises. Don't worry, she was looking with her eyes, not touching with her paws. Just making sure that mum did a good job of wrapping. What would we do without kitty helpers in our lives? Flood Aid - Coordinating help wanted with help offered. Adopt-A-Family - Provide weekly meals to families displaced by the floods. Adopt-A-Wash - Help families who have lost their washing machines by doing a load for them. 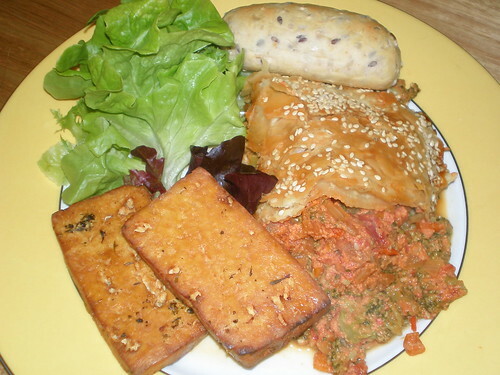 Here are some more recipes I have enjoyed from '1000 Vegan Recipes'. Up the top of the plate you can see some slices of Millet and Amaranth Load, which was delicious served with some Miso-Tahini Sauce. The sauce is great, but keep an eye on it because if you let it boil it will go a bit grainy. 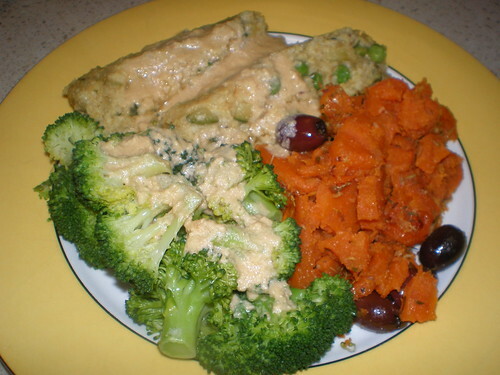 I also served it with some Thyme-Scented Sweet Potatoes with Black Olives and Garlic and some steamed broccoli. The sweet potatoes were nice, but I found that you need to keep a close eye on them, I found them a bit smooshier than I would have chosen following the cooking time suggested. Sesame Soba Noodles are outstanding, just so yummy you won't want to stop eating them! I served them with some tofu slices marinated in the Lemony White Miso Vinaigrette and then baked. I finished it off with some roasted asparagus. 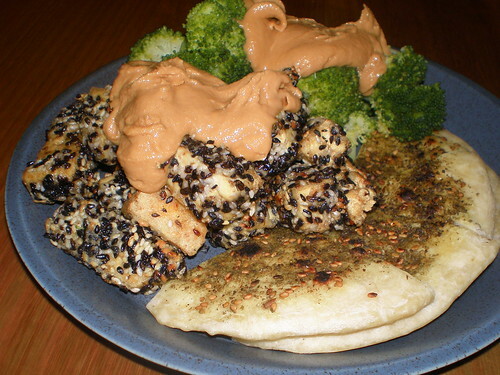 Double-Sesame Tofu with Tahini Sauce was served alongside some Za'tar Spiced Flat Bread and some steamed broccoli for a great dinner full of calcium. I have had issues previously getting coatings to stick, so I slightly deviated from the tofu recipe by coating it in cornflour first, then dipping in soy milk, then coating in a cornflour/sesame seed mix. The tahini sauce was yummy and, as you can see, very thick! For the flatbread I used one teaspoon of spice for each flatbread, and turned the heat down when I was cooking the side with the spices to stop it from burning. I think this was one of my favourites! 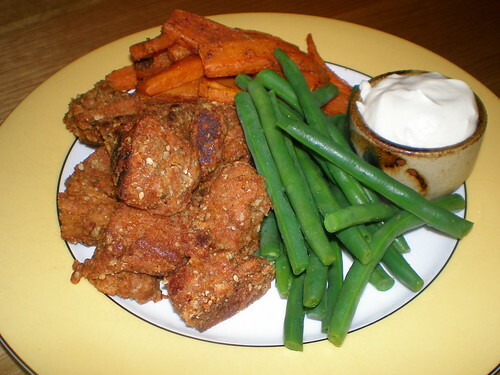 Three-Seed Seitan with Vegan Aioli, baked sweet potato strips (from VWAV) and lightly blanched green beans. 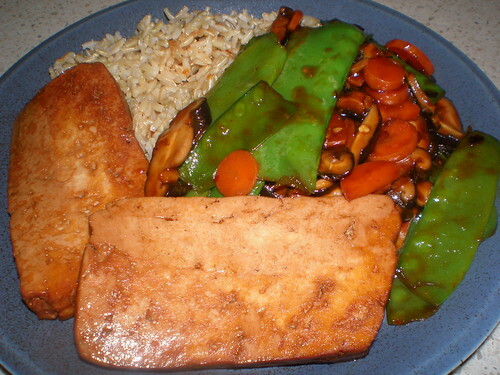 The seitan was delicious, though I couldn't make it go super crunchy like the blurb suggested it was intended to be. But I care not - yum! And the aioli was amazing. I used four cloves of garlic instead of three because I like my garlic strong, and boy was it! I made the aioli for my mother a few weeks later to serve with some non-vegan food at a party she was making, and it was a hit. Chinese Noodles and Broccoli with Spicy Black Bean Sauce was very yummy, though I could have added more broccoli! I couldn't find any egg-free Chinese noodles, so I made it with linguine as suggested. 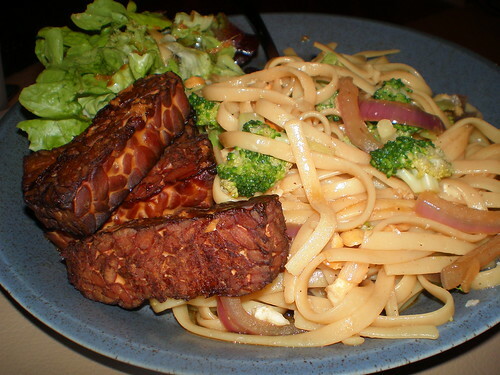 I served it with tempeh marinated in Ginger Soy Vinaigrette, and used the leftovers as dressing for the green salad. The vinaigrette makes a good marinade, but is amazing on salad! This was also fantastic, especially back in the cold months of June when I made it (I have a huge backlog of photos to share still!). Seitan and Scalloped Potatoes Casserole is a very yummy and satisfying dish, just right for winter. I served it with Roasted Brussels Sprouts and Roasted Cauliflower with Lemon and Capers, both excellent vegetable sides, and smothered it all in scrumptious Bearnaze Sauce. Any left over sauce also thickens up as it cools and makes a fantastic dip for veggies! Another tasty combination that I made in wintery June. 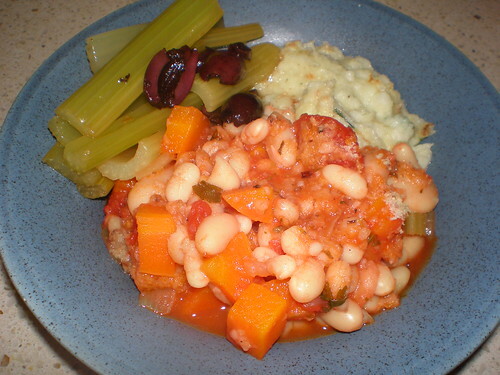 Three-Bean Cassoulet is perfect winter food, with three sorts of white beans and a delicious oven aroma. I served it with Creamy Cauliflower and Braised Celery with Black Olives. The braised celery was really nice - I don't often eat cooked celery as the main star of the dish and it was very subtle and pleasant. The real star was the amazing cauliflower though, which is a delicious low-carb take on mashed potatoes. 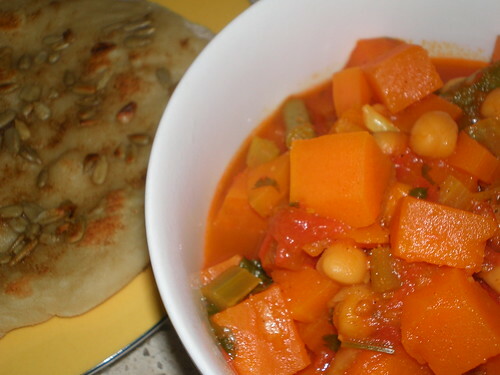 Moroccan-Spiced Chickpea and Sweet Potato Stew was just right served with some Coriander-Sunflower Seed Flatbread. Be careful with the heat when you are cooking the flatbreads so the seeds don't burn. I also found that once I had them in the frying pan it helped to use my spatula to really push the seeds in so they didn't just all off when you turned them over. 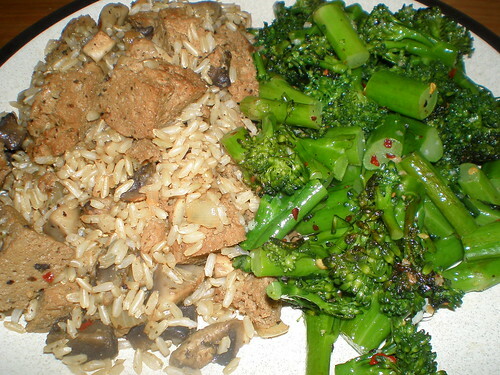 Italian Rice with Seitan and Mushrooms served with Spicy Sauteed Broccoli Rabe was a spicy, earthy combination. 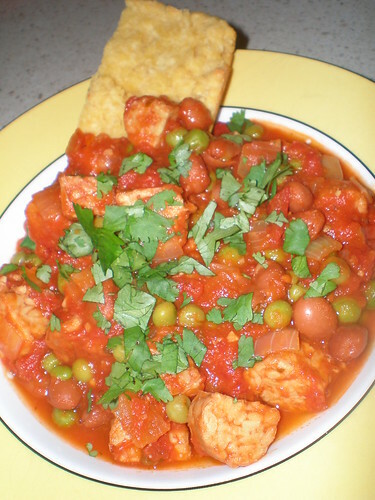 I made this one night when I was cooking just for me, and I found that both recipes really only made enough for two servings, which was great because I kept the leftover serving for the next night I was home late from work. With the broccolini, I added extra garlic and I also chopped and then steamed the broccolini rather than boiling and then chopping it. Bok Choy and Ginger-Sesame Udon Noodles were yummy. It says to use a large head of bok choy, I used a whole bunch and I could have added more! Whenever I make udon noodles, I like to used the dried ones as I find the texture of them so much better and chewier compared to the packaged ones, which go smooshy. 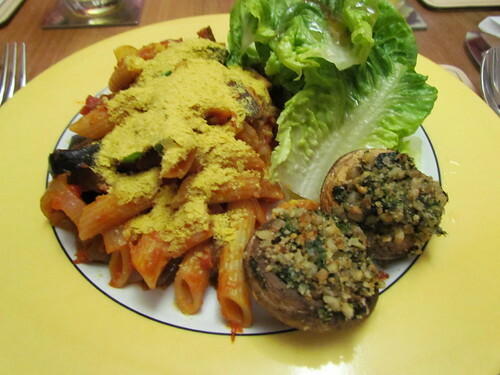 I also added the suggested shiitake mushrooms - yum! I served this with my trusty go-to Soy-Glazed Tofu and some roasted asparagus. 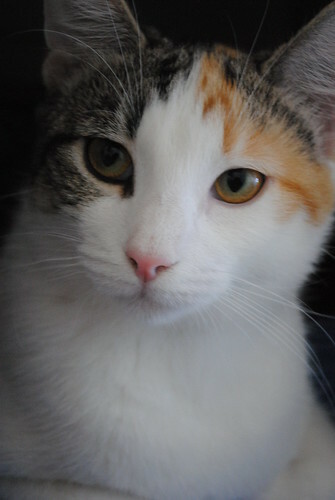 This gorgeous girl was a kitten we were rehoming. Believe it or not, we were having no luck finding a home for this beauty, so we took some glamour shots and put up some posters for her and her brothers. Needless to say, someone came along soon after to give her the home and love she deserves. And for those who didn't see them on my last post, here are the links if you would like to donate to help people and animals affected by the Queensland flood disasters. I spent some time yesterday helping clean out someone's ruined house that had been completely flooded, it was a heartbreaking (and muddy) experience. The amazing spirit of Brisbane's community is showing though, with so many people volunteering to help out that they are even having to turn people away! I am also very happy to learn that the clinic I work at will be one of the clinics helping the RSPCA out by providing free veterinary care to shelter animals while they are rebuilding their own facilities. Just a very short and picture free post today. Many of you know this, but for those who don't I live in Brisbane, the capital city of the state of Queensland, which is in Australia. Over the past few weeks, much of Queensland has been subjected to massive flooding, and this week Brisbane itself flooded - something that hasn't happened since the horrific floods of 1974. Huge parts of the city were submerged, and now the flood waters are dropping leaving people's lives in ruin. So far 16 people and countless animals have lost their lives, with many still missing. It is not over yet, as flooding continues in the southern part of the state and into northern New South Wales. Thankfully I live in a part of Brisbane than has not been touched by flood waters, something I am incredibly thankful for. I thank all of you who sent texts, emails and tweets to make sure I was OK. I'm including two links here if you would like to make a donation to help, no matter where you might be. The Premier's Flood Relief Appeal is raising money to help Queenslanders affected by the flood. Many people have lost their homes and their businesses, and these people are starting the long and heartbreaking process of cleaning up and rebuilding. Emergency accomodation, food, clothing, cleaning... all things that your donation can help with. The RSPCA Queensland needs funds on two fronts - on the one hand they are raising money to help animals affected and injured in the floods on the wider community. However, the RSPCA's main animal shelter in Brisbane was destroyed during the floods. Thankfully all the animals were evacuated to safety, but there is a long road ahead before they can get their vet clinic and animal shelter housing back up and running. If you have any spare change to donate, we would all be very grateful. Some information on the floods from Brisbane's newspaper. A sombre post. Will be back with more food and kitties soon. But back to business. I have a lot of photos to share. Masses. It's ridiculous. 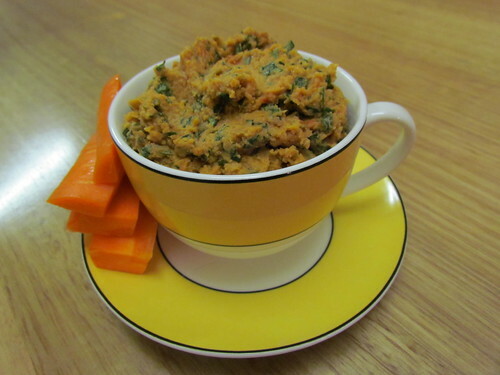 Here are some more recipes that I have made from 1000 Vegan Recipes by Robin Robertson. 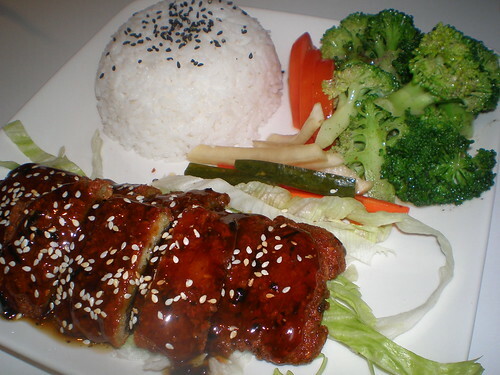 Sesame Baked Vegetables is a delicious, amazing and wonderful recipe, I strongly suggest you go and make it! Think chopped veggies in a rich tomato-soy-tahini gravy topped off with puff pastry. Nom. I used the full 3 tablespoons of soy sauce suggested in the recipe. I served this with Italian Marinated Tofu (from Vcon/VWAV), salad and a bread roll. 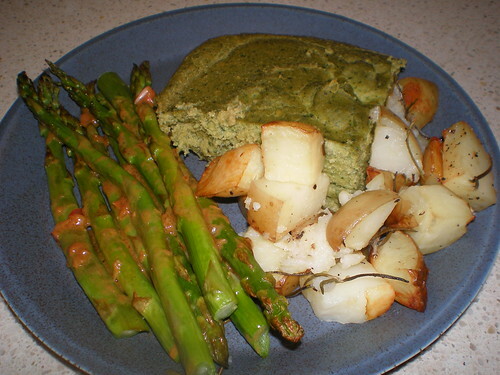 I was not so wild about the Spinach Soufflé, which never seemed to quite set into any texture other than a bit smooshy. However, the side dish of Asparagus Dijon was delicious. I roasted the asparagus instead of steaming it, because that's what floats my boat. I also served it with some roasted potatoes with rosemary. 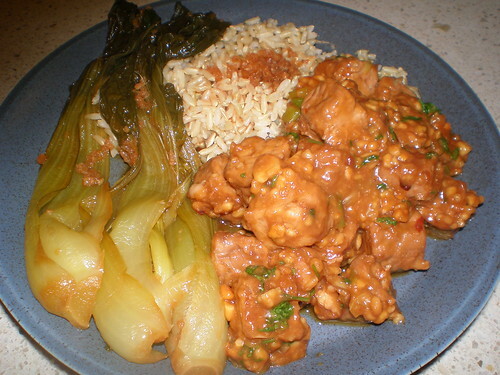 I really enjoyed the Ginger-Peanut Tempeh, which was delicious served with brown long-grain rice and Sherry-Braised Baby Bok Choy. 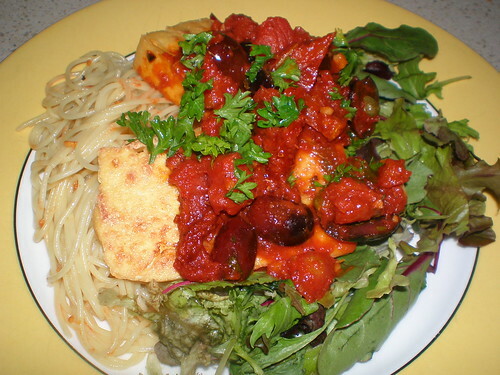 Tofu Pizzaiola is fried tofu slices topped with a delicious tomato, garlic, oregano, kalamata and caper sauce. I served this with a very simple recipe, Spaghetti with Olive Oil, which is from Vegan Italiano. And lots of salad greens. 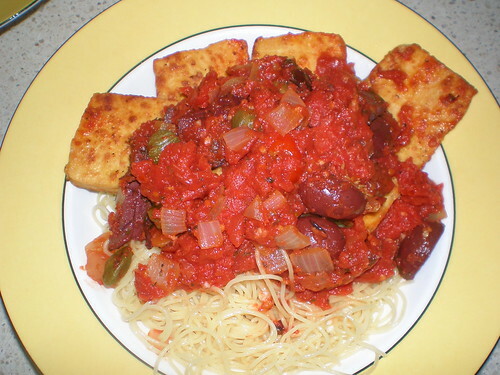 A similar recipe and combination was Sicilian-Style Tofu served over Angel Hair Pasta with Olive Oil and Garlic, a pasta recipe I have come back to a few times. For the pasta I only used half the amount of oil and pasta but I doubled the amount of garlic in the recipe, which was delicious and provided more than enough infused oil for the recipe and more than enough pasta for four people. The tofu recipe suggests chopping it up if serving over pasta, but I really liked the pasta slices over the pasta instead. 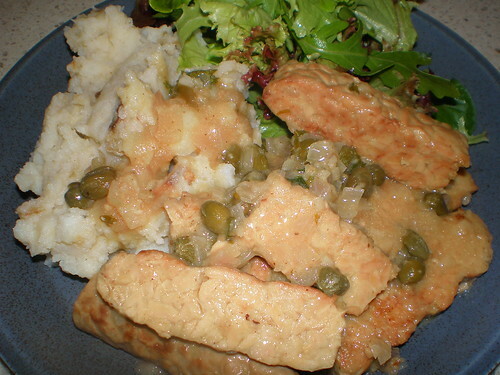 Tempeh with Lemon and Capers served with Fennel and Garlic Mashed Potatoes The tempeh is delicious, I am really into capers, white wine and lemon juice as a combination at the moment. Very nommish! The potatoes were also incredibly smooth and wonderful. My mother and I loved this combination one evening. 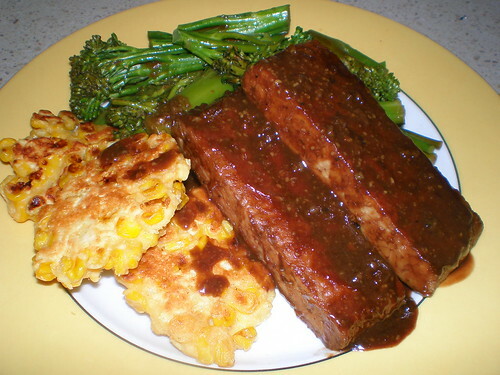 Tempeh with Maple, Mustard, and Balsamic Glaze is absolutely delicious! Served along with Corn Fritters (which are so good you could marry them, or at least at them with anything, or on their own) and some broccolini stir-fried in some bottled garlic sauce. With regards to the tempeh, the recipe really made closer to three serves than four serves I thought, though maybe that is just my hungry belly! Tempting Tempeh Chili was a really nice, filling dinner. I added some defrosted frozen peas in the last 10 minutes of cooking and left out the green capsicum at the beginning. I served it with Cornbread. The star of this meal was the Shiitake Snow Pea Stir-Fry, which is so delicious. I made a double batch of the recipe to have enough to feed four people. I also added in some thinly sliced carrots in place of the red capsicum, which gave the dish the colour it needed and was a delicious substitution to boot. I served it with Soy-Glazed Tofu, which has become my go-to quick and tasty tofu recipe (I will give it its own post soon) and some long-grain brown rice. Well, that is a few recipes and photos blogged about now... still so many to go! Part of being a vet is constant studying. Sometimes it is reading up on new journal articles and techniques, sometimes it is reading up on my old notes or textbooks to brush up on some physiology or the like. Every vet knows that the most important study aid one can have is a cat. 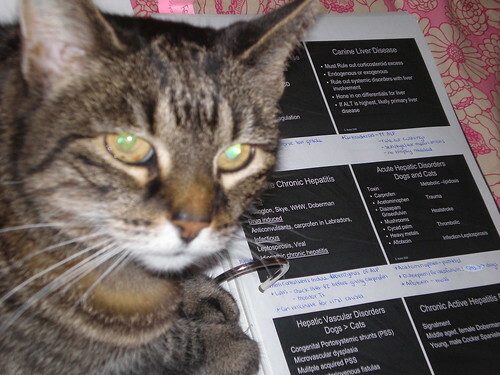 Here, Gizmo demonstrates how helpful she can be, by sitting on half of my notes and thoughtfully pointing out some of the finer points of liver disease.